Exposions this morning at Cape Canaveral, where SpaceX is testing an unmanned rocket to prepare for a satellite launch, were due to “an anomaly on the pad resulting in the loss of the vehicle and its payload,” SpaceX said following the incident, which shook buildings in the area. A midair collision of two GA airplanes in Alaska killed all five people in flight Wednesday. A Piper PA-18 Super Cub with two people on board and a Cessna 208 Caravan carrying three collided about 11 a.m. near a village about 375 miles west of Anchorage, The Associated Press reported. An environmental group that has been urging the EPA to regulate avgas in piston-powered aircraft released a new report this week on lead emissions in its ongoing campaign to remove 100LL from airport pumps. 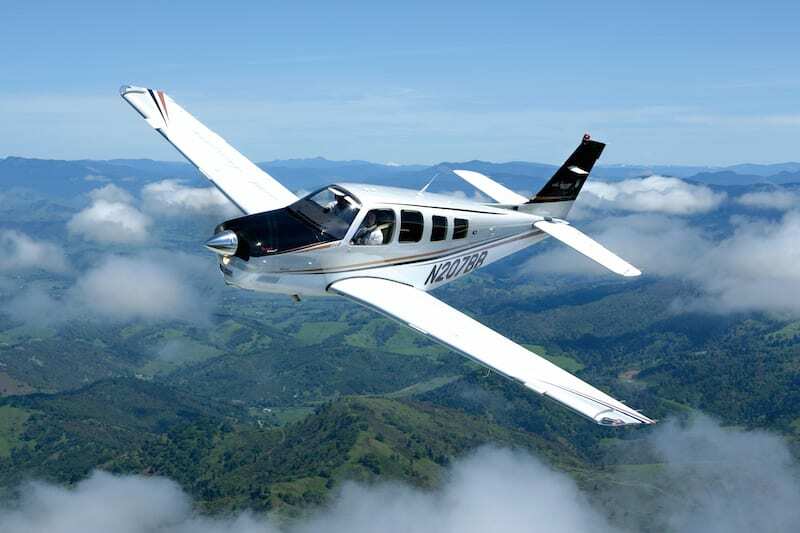 Friends of the Earth says that EPA data shows that piston-engine aircraft using leaded avgas account for about 50 percent of lead emissions in the U.S. The post FAA’s Part 107 Exam is Probably Harder Than You Think appeared first on DRONELIFE. A pilot intending to execute a surprise marriage proposal above the central Maryland countryside Aug. 26 hit a bit of unintended turbulence after a bird strike badly damaged his aircraft’s right wing and necessitated an emergency landing at Frederick Municipal Airport. 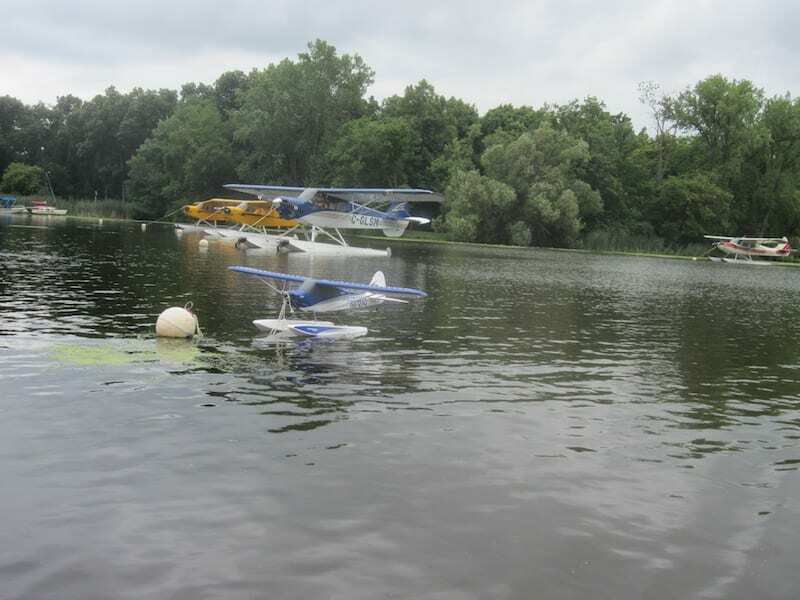 Tom Snow sent in this photo of a Carbon Cub and its “mini-me” RC model at the Oshkosh Seaplane Base during AirVenture 2016. El Paso to Phoenix, 11:30 p.m., cruising at 12,000, we could barely hear the radio calls from all the laughter in the cockpit. It was the second leg of three, after taking delivery of our newly acquired Twin Comanche in Dallas. The winds aloft were warmer than normal. We spent another 20 minutes unable to contain ourselves over our sudden and persistent farting attacks. When radio calls did manage to pierce our howling good time, imagining what the person connected to the disembodied voice looked like just incited more eye-watering, belly rolls of laughter. Just two guys in the cockpit acting ridiculous. Or was it? The good times continued while ATC kept us at 12,000. Amidst all the fun, we forgot to brief the approach. At 15 miles from Hamek, we were suddenly cleared for the KPHX ILS 25L approach, with instructions to cross Hamek at 4,000 feet. Cranking over to a 1,500 fpm descent to make the crossing restriction was the last funny thing we did. Passing through 9,000, a noticeable behavioral change overtook us. What was funny suddenly became annoying. At first I thought the change in attitude was from needing to focus on quickly executing a high rate descent while briefing the approach and entering an unfamiliar airport environment. Once on the ground, I began to consider hypoxia as the cause of our at-altitude shenanigans. Gone was the laughing attack, my sense of fatigue and the gas. My vision seemed to regain its sharpness. I asked my copilot how he felt. His observations concurred with mine. 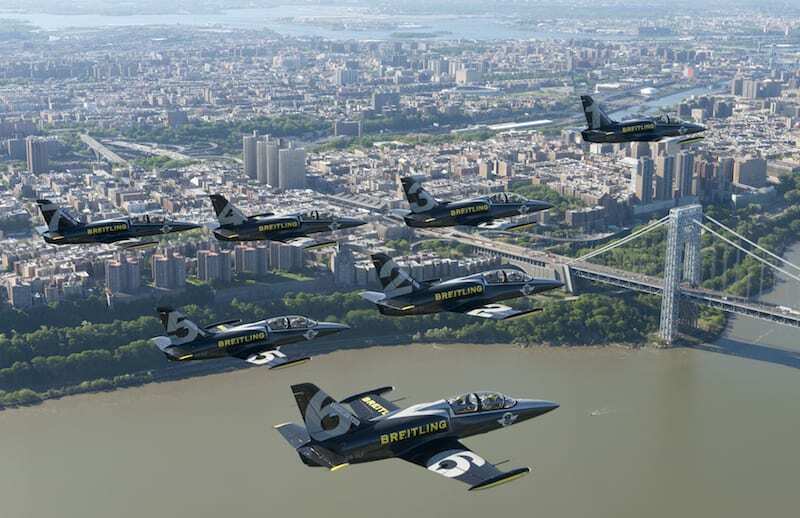 After an L39C Albatros pilot had a similar experience at a cabin pressure altitude of 12,000 feet, he too submitted a report to NASA’s Aviation Safety Reporting System, also known as a NASA report. Fast approaching cloud buildups, the pilot chose to cancel IFR and attempt a 180 back into VMC rather than continuing to wrestle with attaching his O2 mask and flying on instruments. When he finally did attach the mask, he still got no relief. The L39 pilot’s hypoxia symptoms were fixation, poor decision-making and panic. Ours included gas and uncontrollable laughter. A Beechcraft Bonanza pilot reported different symptoms altogether in his NASA report. When Center handed him off, the pilot was unable to dial in the correct frequency. For him, hand flying the airplane was not a problem. But performing the simplest mental task became impossible. Hypoxia is a curious ailment, partly because of the wide array of symptoms associated with it. Only some are discussed in conventional flight training. Those most often mentioned include headache, giddiness and reduced mental capacity. But there are many other symptoms, including gas, shortness of breath, tachycardia and cyanosis (the bluing of a body part from lack of oxygen). A C-182 pilot and his passenger experienced a cyanotic event, according to their NASA report. They were cruising at 13,000 feet for about 40 minutes when the passenger complained that his hands were turning blue. “Setting in” is an understatement. 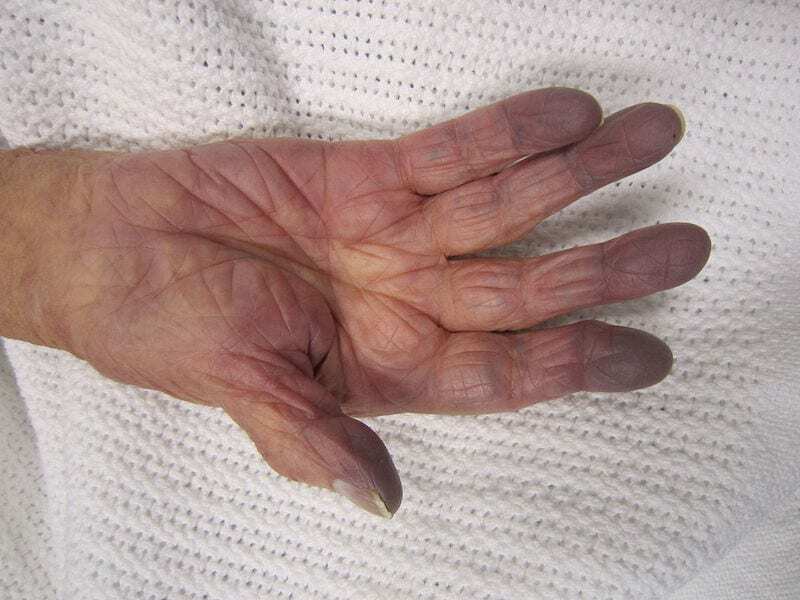 By any definition I researched, cyanosis is considered an end stage symptom of hypoxia. After that, the progression tends to be unconsciousness and death. For most GA pilots, hypoxia’s onset is usually subtle. It didn’t occur to my copilot or to me that we had a problem. All we knew was over time every word, every image, every sound evoked laughter. It wasn’t until the L39C pilot realized he had been fixating for a long time on his aircraft’s instrument panel that something might be amiss. And the Bonanza pilot flew for four hours at 12,500 feet before the ill effects overtook him. I researched more than 100 reports in the ASRS database. Only one instance of “sudden onset” was recorded. Why does hypoxia affect some people one way and others another? Could the differences in reaction correlate to age? Weight? Physical conditioning? It’s hard to know. The Bonanza pilot reported that he was a 73-year-old in excellent health who never smoked or drank. I was in my early 30s, lifted weights and rode a bicycle regularly. But I’d also just kicked a decade-long cigarette habit the year before. My copilot was in decent shape, in his mid-20s, didn’t smoke, but drank occasionally. When it comes to hypoxia, here’s what we do know: How well a person’s lungs take in oxygen, how well a person’s hemoglobin binds to atmospheric O2, and how well one’s circulatory system distributes oxygenated blood throughout the body determine how severely hypoxia strikes. Do you know what your oxygen intake, your hemoglobin uptake or your blood distribution rates are? You can’t. They aren’t constants, like your blood type. So how can we guard against hypoxia? 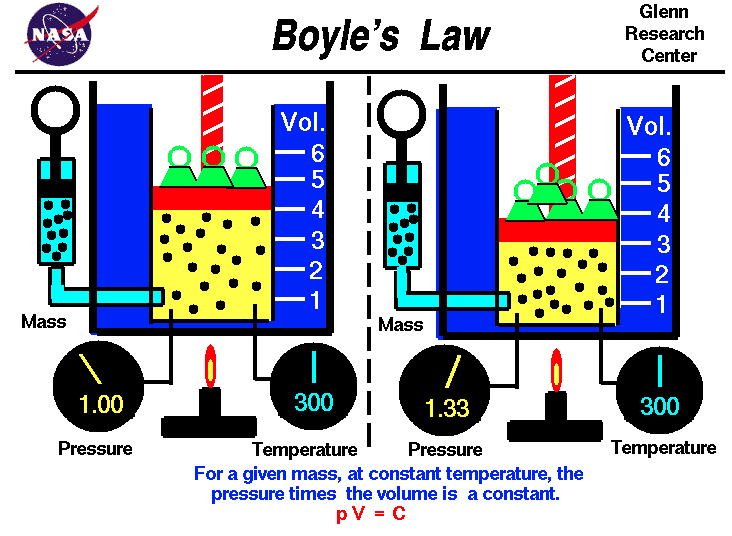 Thankfully, there are two constants that tend to protect us: One, federal regulations and two, Boyle’s Law. In plain English, if we increase the volume of the air by decreasing its pressure, then the total number of molecules of oxygen in the atmosphere decreases. That number is a theoretical constant in the Earth’s atmosphere — 21% O2 on an International Standard Atmosphere (ISA) day of 59° Fahrenheit, at sea-level pressure of 14.7 psi. At 12,500 feet, less than two-thirds of ISA sea-level oxygen is available. At 14,000 feet, it’s 61%, and at 18,000 feet, it’s down to 52%. That’s why CFR Part 91.211 states if you’re flying above 12,500 feet, up to and including 14,000 feet, for more than 30 minutes, you have to use O2. Above 14,000 and up to and including 15,000 feet, all pilots must be on oxygen. Above that, everyone onboard must be breathing from a bag or a bottle. Under Part 91.211, the Bonanza pilot cruised legally at 12,500 feet. We were legal at 12,000 feet. But were we safe? No, because when it comes to hypoxia, “legal” and “safe” ain’t always the same thing. We saw the signs. We knew at 12,000 feet at night it was odd not to need a jacket or the heater. The L39C pilot ultimately managed to switch to his emergency 100% oxygen supply and land safely. When he took off again, he realized his speech was still slurred, so he wisely turned around, landed and spent the night recuperating. We were less sanguine. We thought an hour on the ground restoring ourselves with coffee was sufficient. We pressed on, though at a much lower altitude. We ended our journey safely. However, the next day I slept 14 hours straight. My copilot suffered a prolonged headache. The Bonanza pilot recovered enough after descending to a lower altitude to land safely at his destination. And the flight crew of the G-III? They had the good sense to impose an immediate and permanent ban on the owner ever entering the flight deck again. Pilots will have a chance to island-hop the Bahamas this fall on an Air Journey modern-day Bahamas Treasure Hunt that offers a way to explore and enjoy the Bahamas on a no-hassles, guided aviation adventure.